In this article I will cover Introduction to currency markets and you will also learn about the best Forex Trading Currencies that are very profitable for trading. 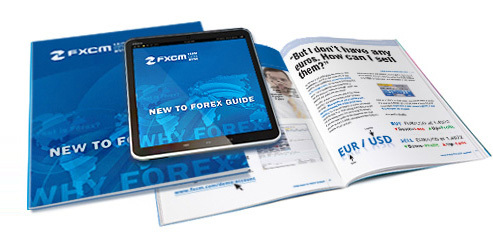 Most the newbie traders don’t have any idea about the basics of Forex trading. 90% of the Forex traders directly seek for the best Forex trading system and they start trading by making a deposit and without knowing the facts about the market. There are a lot of factors that a trade must know before jumping into the real market. As the name suggests that the Forex trading market is open for 24 hours from Monday to Friday and you can easily perform BUY and SELL activities on different currency pairs. In Forex big markets are in action like LONDON , NEW YORK and TOKYO markets. It means that BUY & SELL activities can be performed very quickly. 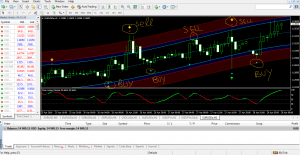 For example, you have placed a BUY order on EUR/USD and after some time you can see that your trade is giving you a profit of $500 then you can instantly close the trade and profit will be quickly added to your main balance. There is no need to wait for your profit to be added in your main balance. Every transaction can be executed and closed on instant basis and that is why Forex is has gained lot of importance among the investors because they are able to withdraw their daily profits on the same day and can meet their needs on a timely basis. Most of the traders do not have any idea why currency pairs move up and down? In other words, what is the cause of UP and DOWN movements in the Forex Trading Market. Let’s understand this concept by using a very easy example. Forex trading currencies movements are completely based on the factor of DEMAND and SUPPLY. For example, let’s take an example of EUR/USD. If EUR shows upward momentum then it clearly means that most of the investors around the globe are investing their money in EURO and that is why it has shown bullish movement. On the other side USD will go down due to the upward momentum of EURO. In simple words, we can say that the demand of EURO has been increased and it has affected on the worth of USD. For this before taking any Forex trading positions I suggest you to do a little bit research on the daily news for the currency pairs that you trade. It will help you to set up most profitable trades for your preferred currency pairs. This list of Forex trading currency pairs is used by TOP TRADERS around the globe because the profitability ratio on them is quite high as compared to rest of the pairs. If you use the right Forex trading system for these pairs, then your main balance will be loaded with profits. For this I suggest you to look at the screen shots below so that you can learn about the power of this trading system with easy signals.